Rosa Louise McCauley was born in Tuskegee, Alabama, on February 4, 1913. 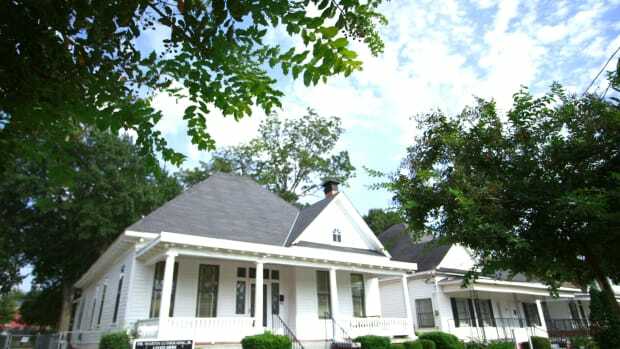 She moved with her parents, James and Leona McCauley, to Pine Level, Alabama, at age 2 to reside with Leona’s parents. Her brother, Sylvester, was born in 1915, and shortly after that her parents separated. Did you know? 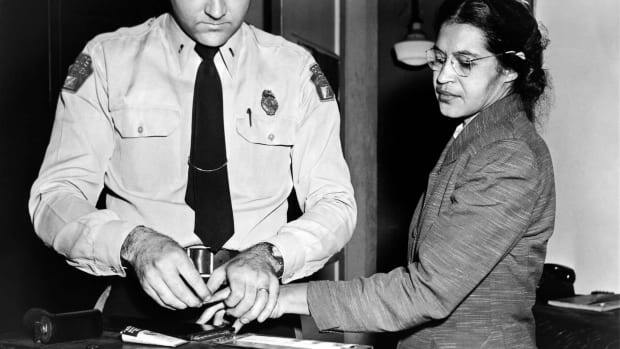 When Rosa Parks refused to give up her bus seat in 1955, it wasn’t the first time she’d clashed with driver James Blake. Parks stepped onto his very crowded bus on a chilly day 12 years earlier, paid her fare at the front, then resisted the rule in place for blacks to disembark and re-enter through the back door. She stood her ground until Blake pulled her coat sleeve, enraged, to demand her cooperation. Parks left the bus rather than give in. Rosa’s mother was a teacher, and the family valued education. 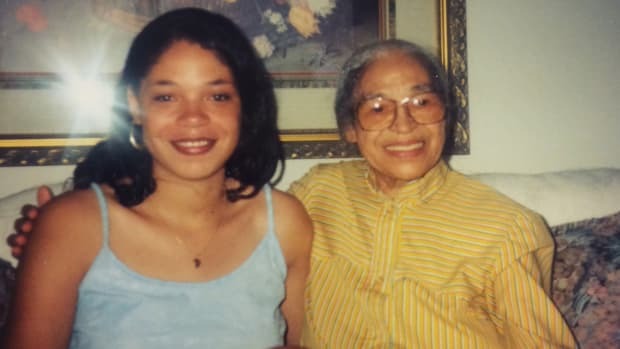 Rosa moved to Montgomery, Alabama, at age 11 and eventually attended high school there, a laboratory school at the Alabama State Teachers’ College for Negroes. She left at 16, early in 11th grade, because she needed to care for her dying grandmother and, shortly thereafter, her chronically ill mother. In 1932, at 19, she married Raymond Parks, a self-educated man 10 years her senior who worked as a barber and was a long-time member of the National Association for the Advancement of Colored People (NAACP). He supported Rosa in her efforts to earn her high-school diploma, which she ultimately did the following year. Raymond and Rosa, who worked as a seamstress, became respected members of Montgomery’s large African-American community. Co-existing with white people in a city governed by “Jim Crow” (segregation) laws, however, was fraught with daily frustrations: Blacks could attend only certain (inferior) schools, could drink only from specified water fountains, could borrow books only from the “black” library, among other restrictions. 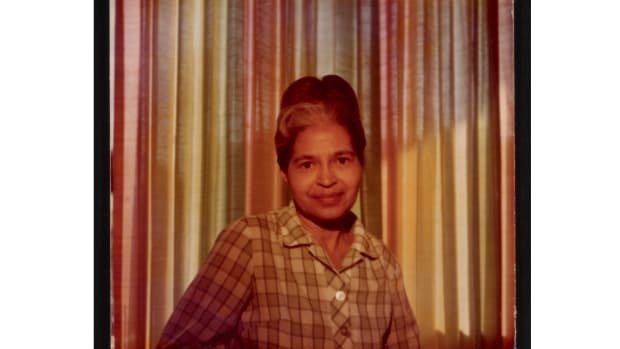 Although Raymond had previously discouraged her out of fear for her safety, in December 1943 Rosa also joined the Montgomery chapter of the NAACP, and she became chapter secretary. She worked closely with chapter president Edgar Daniel (E.D.) Nixon. Nixon was a railroad porter known in the city as an advocate for blacks who wanted to register to vote, and also as president of the local branch of the Brotherhood of Sleeping Car Porters union. On Thursday, December 1, 1955, the 42-year-old Rosa Parks was commuting home from a long day of work at the Montgomery Fair department store by bus. Black residents of Montgomery often avoided municipal buses if possible because they found the Negroes-in-back policy so demeaning. 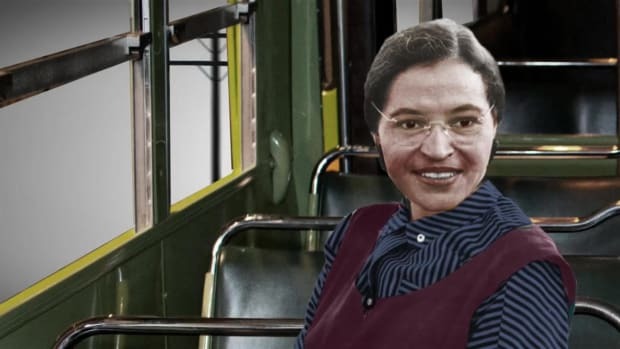 Nonetheless, 70 percent or more riders on a typical day were black, and on this day Rosa Parks was one of them. Segregation was written into law; the front of a Montgomery bus was reserved for white citizens, and the seats behind them for black citizens. However, it was only by custom that bus drivers had the authority to ask a black person to give up a seat for a white rider. 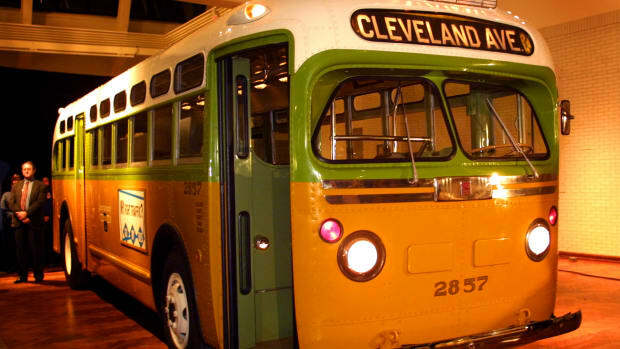 There were contradictory Montgomery laws on the books: One said segregation must be enforced, but another, largely ignored, said no person (white or black) could be asked to give up a seat even if there were no other seat on the bus available. Nonetheless, at one point on the route, a white man had no seat because all the seats in the designated “white” section were taken. So the driver told the riders in the four seats of the first row of the “colored” section to stand, in effect adding another row to the “white” section. The three others obeyed. Parks did not. Eventually, two police officers approached the stopped bus, assessed the situation and placed Parks in custody. Although Parks used her one phone call to contact her husband, word of her arrest had spread quickly and E.D. Nixon was there when Parks was released on bail later that evening. 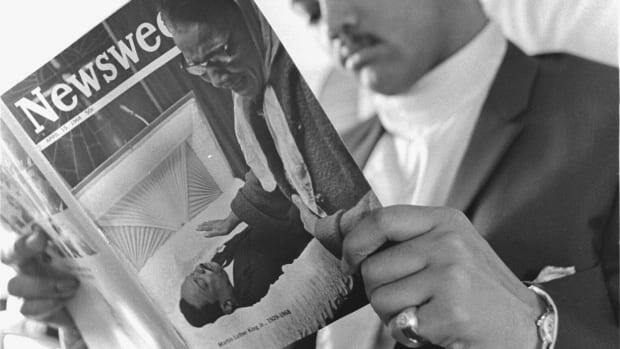 Nixon had hoped for years to find a courageous black person of unquestioned honesty and integrity to become the plaintiff in a case that might become the test of the validity of segregation laws. Sitting in Parks’ home, Nixon convinced Parks—and her husband and mother—that Parks was that plaintiff. Another idea arose as well: The blacks of Montgomery would boycott the buses on the day of Parks’ trial, Monday, December 5. By midnight, 35,000 flyers were being mimeographed to be sent home with black schoolchildren, informing their parents of the planned boycott. On December 5, Parks was found guilty of violating segregation laws, given a suspended sentence and fined $10 plus $4 in court costs. 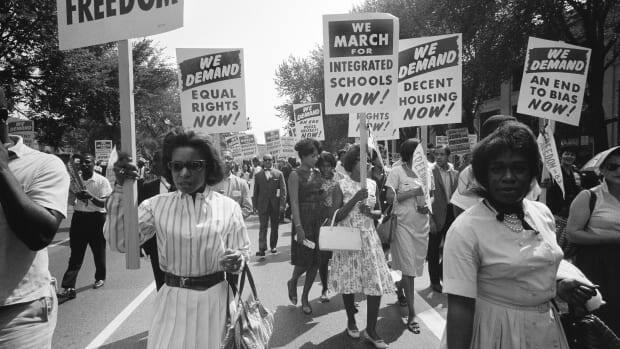 Meanwhile, black participation in the boycott was much larger than even optimists in the community had anticipated. 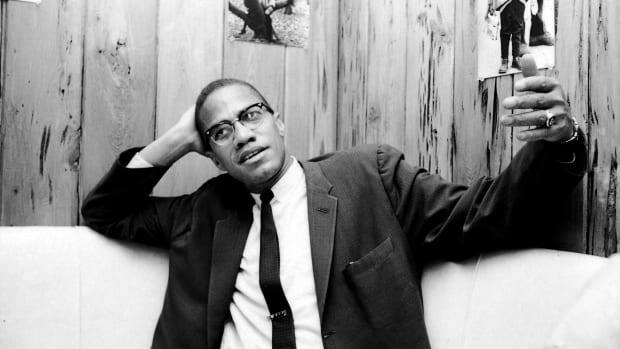 Nixon and some ministers decided to take advantage of the momentum, forming the Montgomery Improvement Association (MIA) to manage the boycott, and they elected Reverend Dr. Martin Luther King Jr.–new to Montgomery and just 26 years old—as the MIA’s president. 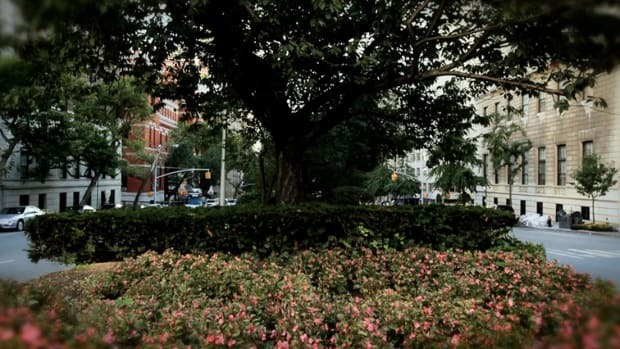 Facing continued harassment and threats in the wake of the boycott, Parks, along with her husband and mother, eventually decided to move to Detroit, where Parks’ brother resided. Parks became an administrative aide in the Detroit office of Congressman John Conyers Jr. in 1965, a post she held until her 1988 retirement. Her husband, brother and mother all died of cancer between 1977 and 1979. In 1987, she co-founded the Rosa and Raymond Parks Institute for Self-Development, to serve Detroit’s youth. 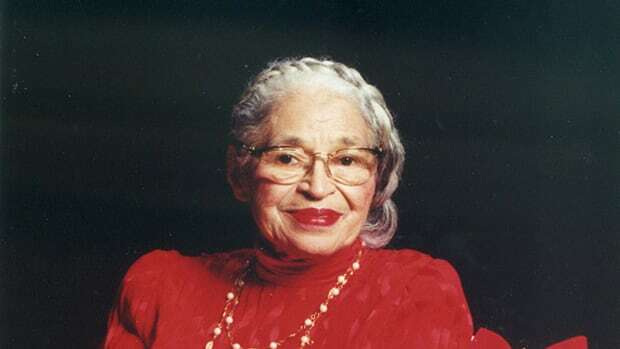 In the years following her retirement, she traveled to lend her support to civil-rights events and causes and wrote an autobiography, “Rosa Parks: My Story.” In 1999, Parks was awarded the Congressional Gold Medal, the highest honor the United States bestows on a civilian. (Other recipients have included George Washington, Thomas Edison, Betty Ford and Mother Teresa.) When she died at age 92 on October 24, 2005, she became the first woman in the nation’s history to lie in state at the U.S. Capitol.